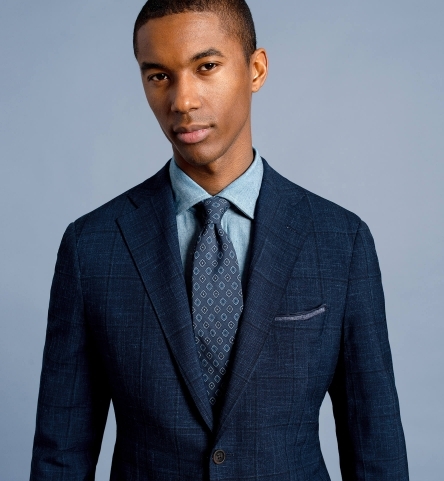 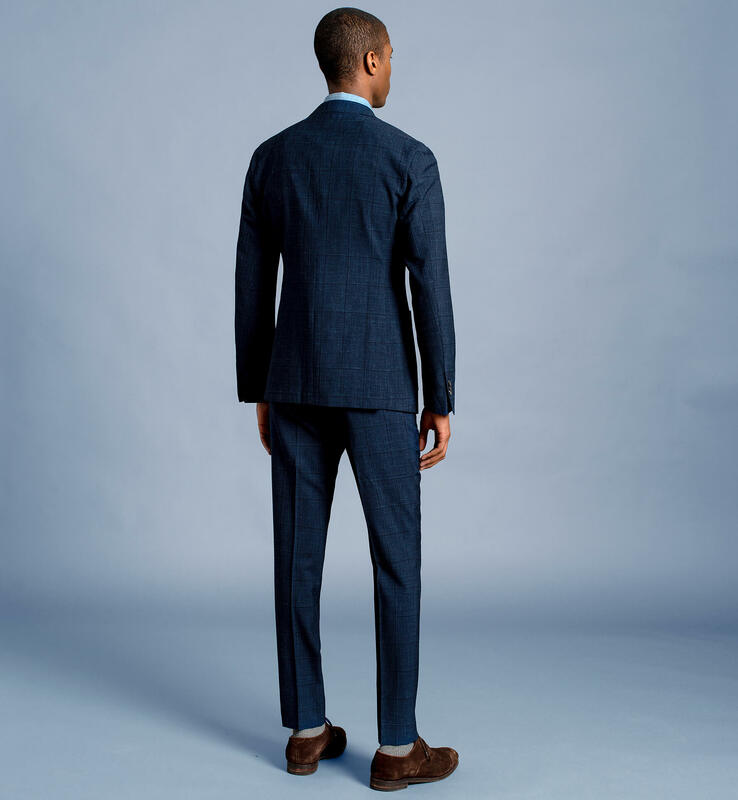 A timeless navy windowpane suit crafted with premium Italian merino wool, silk, and linen blend suiting fabric from Vitale Barberis Canonico. 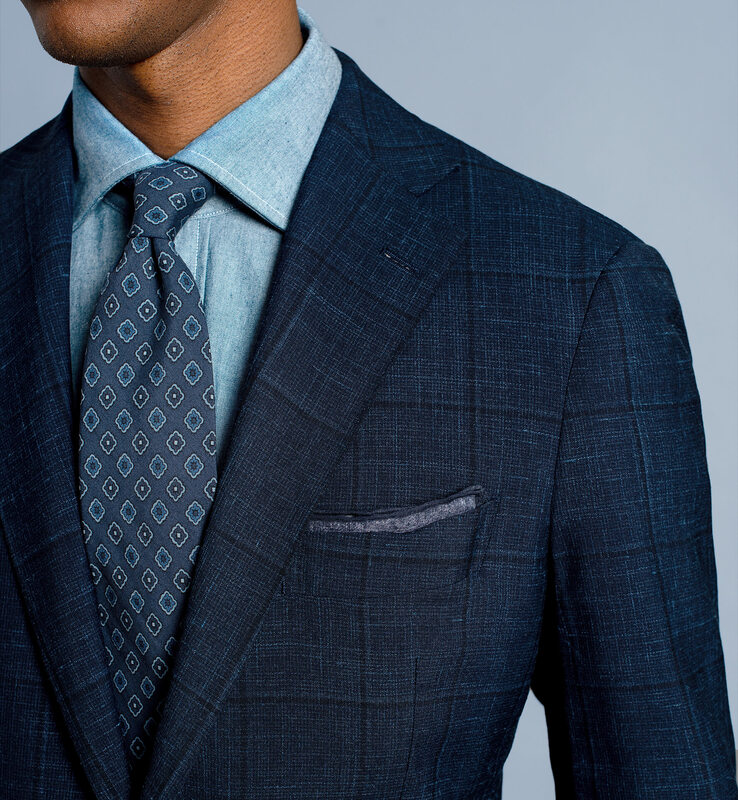 This incredible fabric has just a touch of silk and linen to provide added strength and breathability. 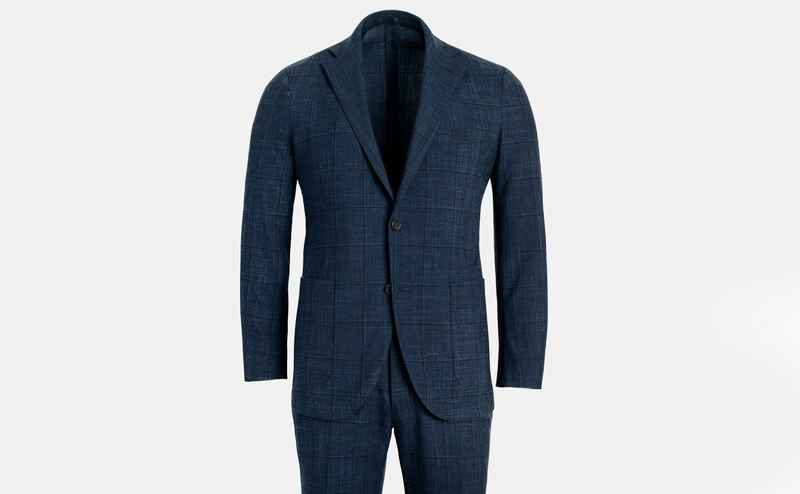 The jacket is shown unlined and half-canvassed with 3.5" notch lapels, a single-breasted two-button front, and patch pockets for a more relaxed look and wear. 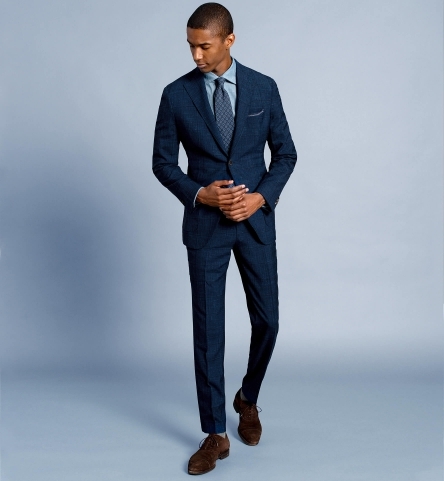 The trousers are shown with a flat front, functional zipper fly, and plain hem. 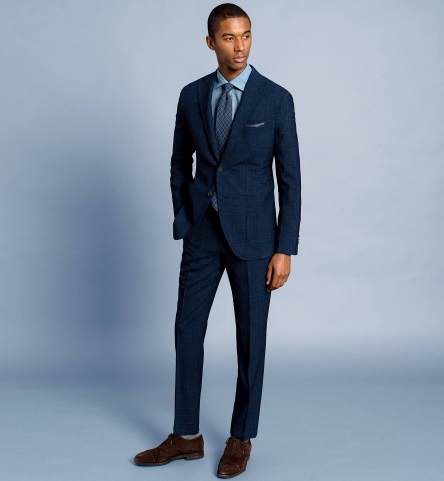 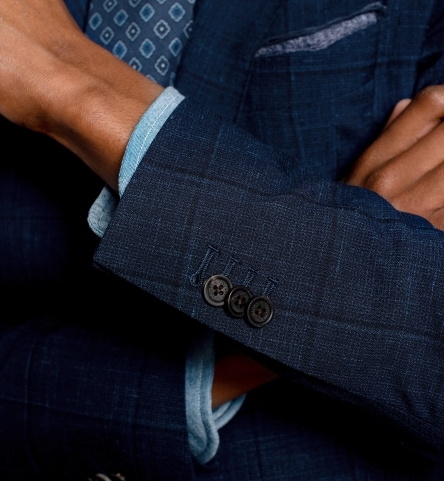 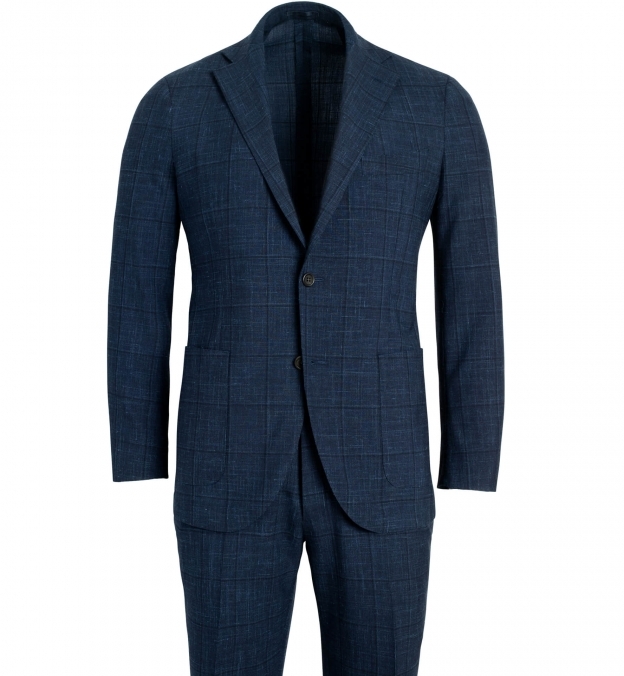 This suit is perfect for spring and summer thanks to its lighter weight and breathability. 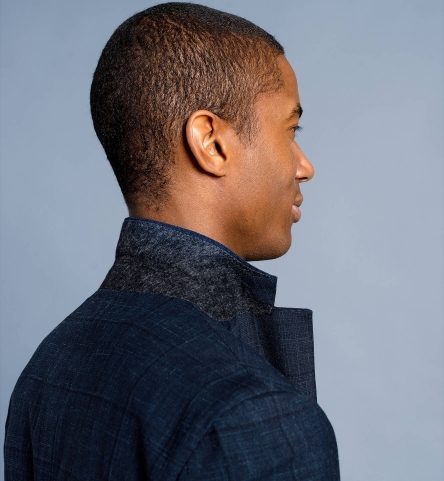 Our Bedford jackets are made with a half-canvassed construction that helps the jackets mold to the body over time. 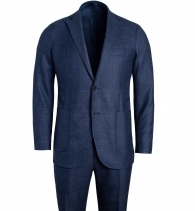 Provides a light and comfortable wear while letting the jacket breathe.